The initiation of mechanical ventilation and selection of initial ventilator settings is a complex process that must address the underlying pathophysiology and the change in clinical status which may follow intubation and the implementation of positive pressure breathing. The initial ventilator settings must be instituted to target a patient’s specific clinical indication(s) for mechanical ventilation. Due to the substantial variation in disease processes, no single ventilator strategy can be successfully applied to all patients. The strategy used for a patient with acute respiratory distress syndrome (ARDS) will vary greatly from that for status asthmaticus or a chronic neuromuscular disorder. An additional factor in the approach to mechanical ventilation in the pediatric critical care setting is the tremendous variation in both patient age and size. 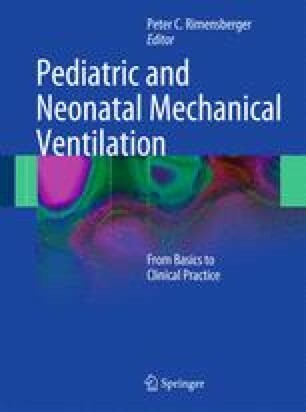 These considerations are important elements in the development of an approach to mechanical ventilation of the pediatric patient.